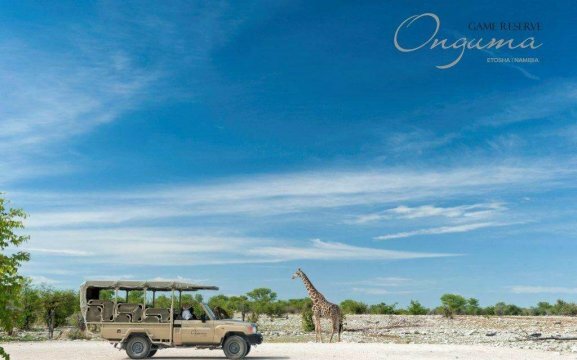 The Onguma Game Reserve is located on the eastern side of Etosha National Park. 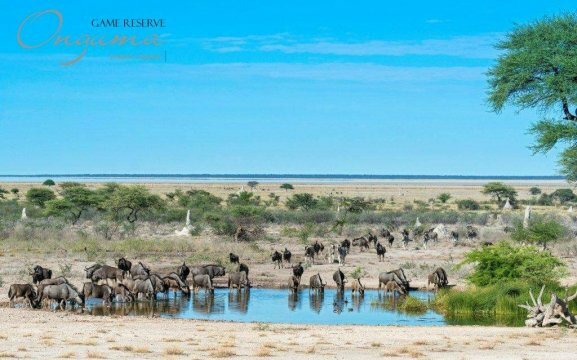 It is one of Namibia’s best kept secrets! 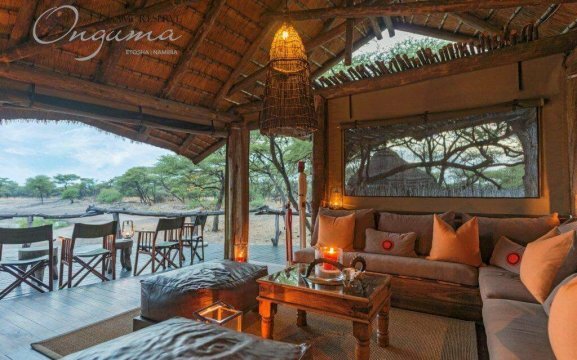 It offers an opportunity of experiencing Africa all in her beauty and diversity with 34,000 ha of protected land and wildlife. 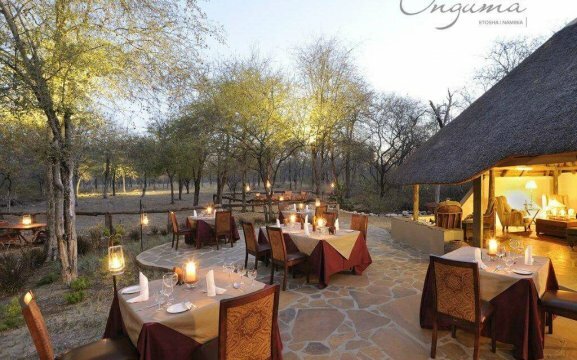 Here you will find lions, cheetah, leopard, giraffe, eland, kudu, oryx, hartebeest, zebra, impala and many more. 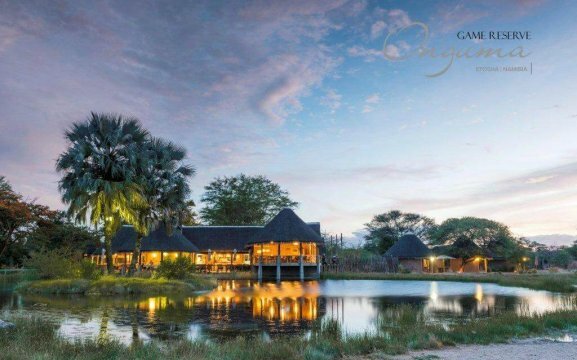 Our accommodation options are the Bush Camp, Tented camp, Tree Top Camp, The Fort, the Etosha Aoba and camping sites. 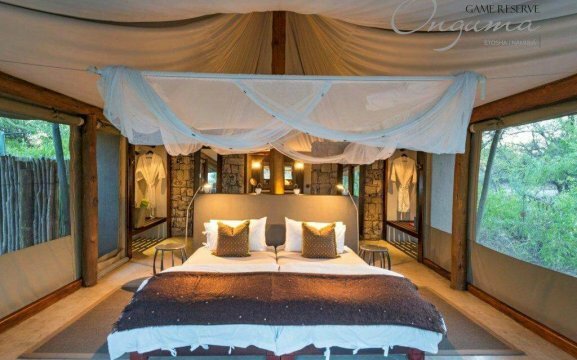 The Fort has an iconic style and elegance, ideal for luxury seekers and discerning travellers. 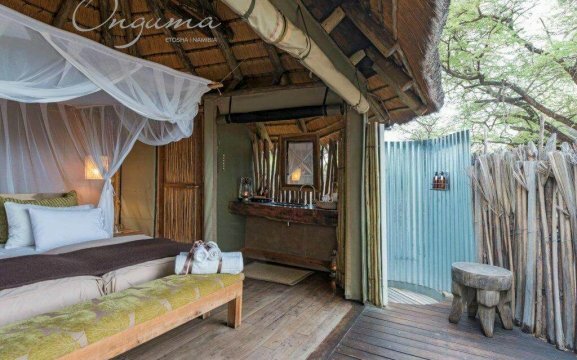 It has one Sultan Suit, 11 Bush Suites and a Honeymoon Suite. 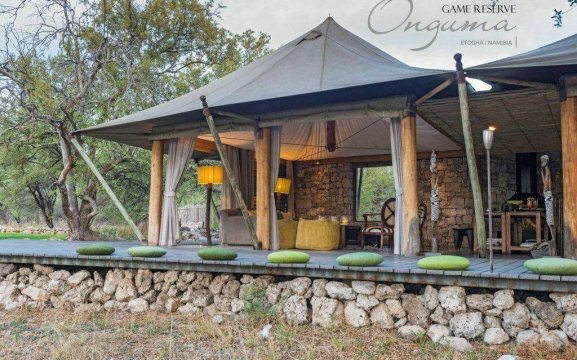 Then we have 7 luxury tents in our Tented Camp and 4 Tree Top Camps built on wooden stilts amongst the trees. 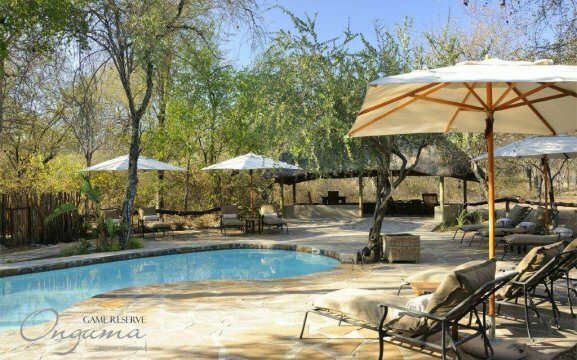 Our Bush Camp comprises in standard rooms, 2 family units and 6 newly built waterhole or poolside rooms. 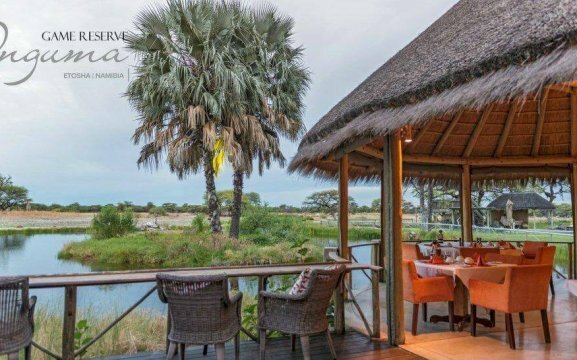 The Etosha Aoba Lodge has 4 free standing Heritage Bungalows, 3 newly created Bush Suites, an Explorer Bungalow and a beautiful Honeymoon Bungalow. 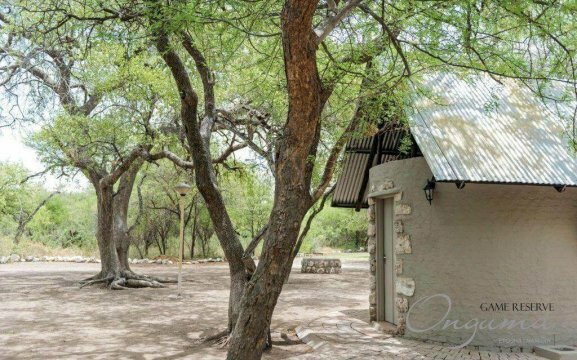 We also have the Tamboti Campsite which consists of 16 sites all nestled in the trees of the Onguma Reserve, and the Leadwood Campsite with 4 sites. Onguma has recently opened an undercover aircraft parking, which is 30m x 15m clear span – suitable for aircrafts up to Caravan size. The run up pad has also been increased to accommodate twin engine aircrafts. 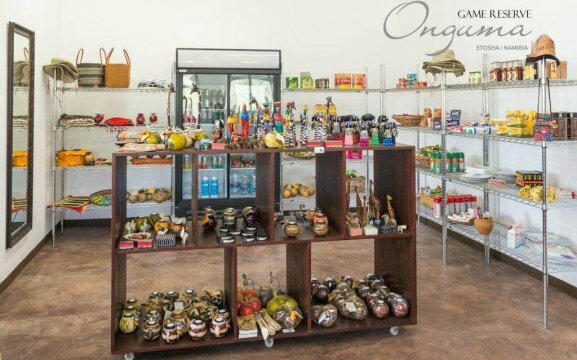 Activities at Onguma Game Reserve include a Morning Etosha Game Drive including beverages, Onguma Sundowner Drive including beverages, Interpretive Bush Walk, Private Game Drive upon request and the Onkolo Hide including beverages.